The planned merger between T-Mobile and Sprint is not happening after the two telecom giants “were unable to find mutually agreeable terms,” both companies confirmed in a statement on Saturday. 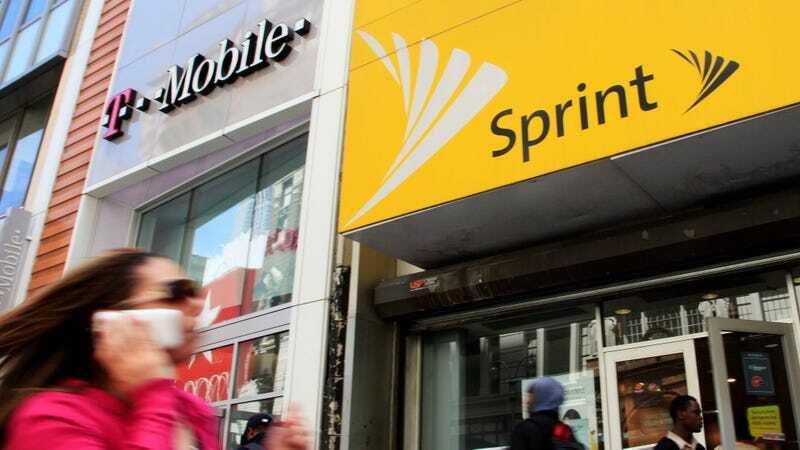 For months, reports circulated that T-Mobile and Sprint were finally nearing a deal to merge operations, something which had been explored in the past but shut down amid fears regulators would reject the deal. Currently, T-Mobile (which is owned by Deutsche Telekom) and Sprint (owned by SoftBank) form the two underdog players in a mobile market currently dominated by Verizon and AT&T—the latter of which T-Mobile had already tried and failed to merge with in 2011 after the Department of Justice and Federal Communications Commission axed the deal. T-Mobile walked away with a $4 billion breakup penalty. While regulators tend to be more permissive of so-called “vertical” mergers in which large companies purchase smaller ones at a different point in their supply chain, they’re much more skeptical about “horizontal” mergers, when two large companies merge to form a market-dominating behemoth. In this case, the proposed horizontal merger would likely have reduced choice in the market from four to three large wireless providers. Both Sprint and T-Mobile have survived by offering unlimited data plans that the larger companies had taken away, and T-Mobile in particular moved to limit practices like hidden fees and credit checks. While Sprint is financially struggling and has tens of billions of dollars in debt, its 5G spectrum holdings have positioned it well for the future. But if T-Mobile and Sprint merged to form one company, they’d have less incentive to offer things AT&T and Verizon don’t. Instead, they could potentially rely on reduced competition and their combined market share to get away with less savory business practices. T-Mobile has already become enough of a player that it’s rolled back some of the perks that it used to lure customers away from the larger carriers. Telecoms will likely try to continue to consolidate, but for now it seems there’s a reprieve in the march towards monopoly.